You are currently browsing the tag archive for the ‘Gafu-ten 2012’ tag. On the last day of our recent Japan trip we managed to make a last-minute stop in at Gafu-ten while on the way to the airport at Kansai. Gafu-ten is held in early January at the Miyako-messe building in Kyoto, Japan. The exhibit showcases some of the best shohin bonsai in Japan and the sales area attached to the exhibition has equally impressive shohin related trees, pots and goods. This is my second time visiting Gafu-ten. I was at the exhibition last year (See HERE) and after seeing the trees on display and those for sale i was keen to get back. This years show lived up to expectations with many high quality displays (unfortunately photos were prohibited). A bonsai for sale at Gafu-ten. In Japanese exhibition you can only exhibit individual trees once every 4 years. That means that every year you are guaranteed to see different trees. 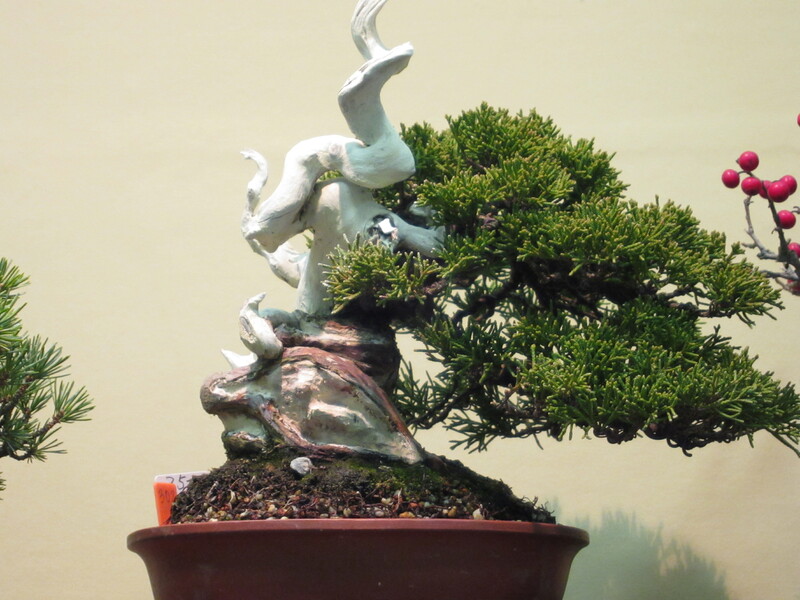 This years mix of bonsai had quite a different feel to those of last year with some quite unusual stylings exhibited. As we couldn’t take photos of the exhibition those wishing to see the trees might like to purchase a copy of the exhibition album. We had a great time filtering our way through the displays and then moved into the sales area. For those of you that havent been to a sales area in a japanese show let me try to explain it. 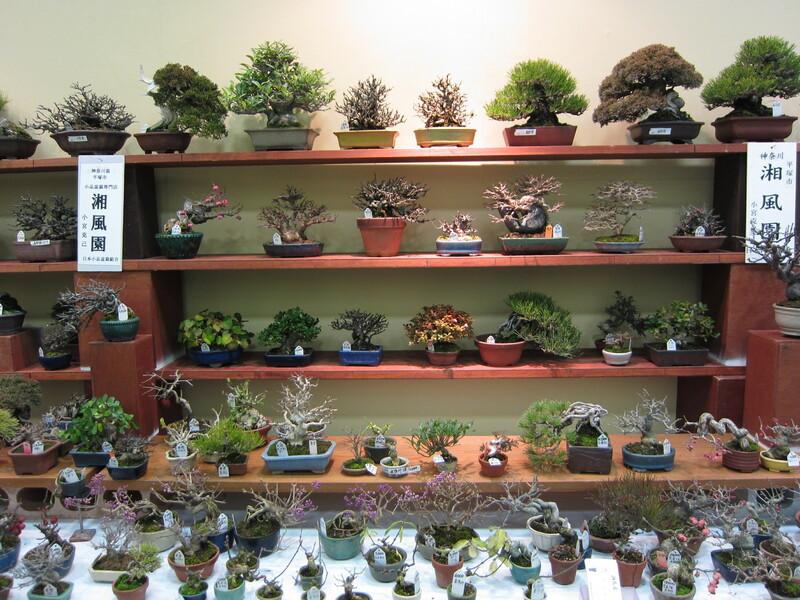 It is like walking into bonsai heaven. 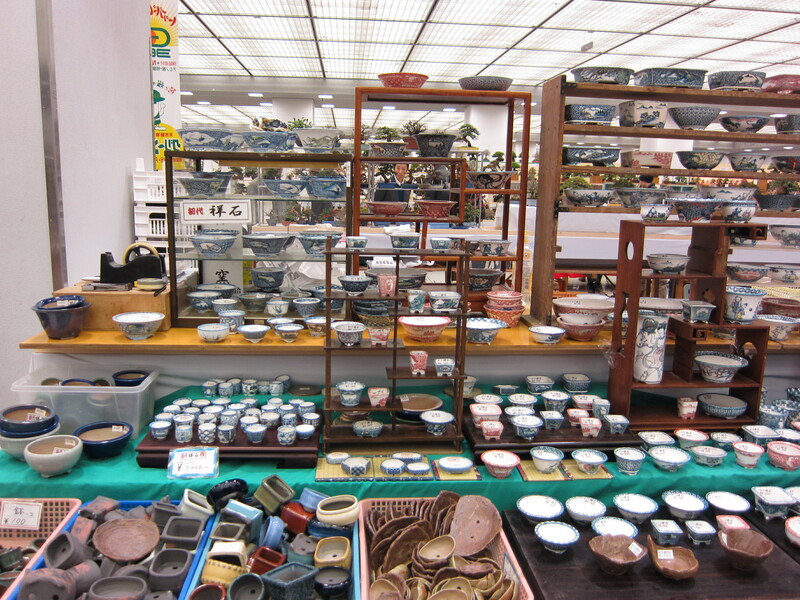 Trees, pots, stands, suiseki, tools, books, and almost anything else bonsai related you can think of can be found in the sales areas. Gafu-ten’s sales area is almost the same size as the exhibition and from the look of the people shopping there it gets the same if not more attention than the show itself. We spent a good amount of time catching up with some vendors we knew, shopping and dreaming of trees we’d like to take home before we finally had to head off to catch our flight at Kansai. For those interested, the full collection of photos can be found HERE.